But the project obviously goes beyond the idea of ​​a simple juxtaposition of prestigious names. He intends to reflect 20 years of collaborations, crazy projects and meetings that have made the Brain Damage career something unique. All the different artistic periods of the producer, and each of his 14 albums, are represented, from the first years to the most recent works. 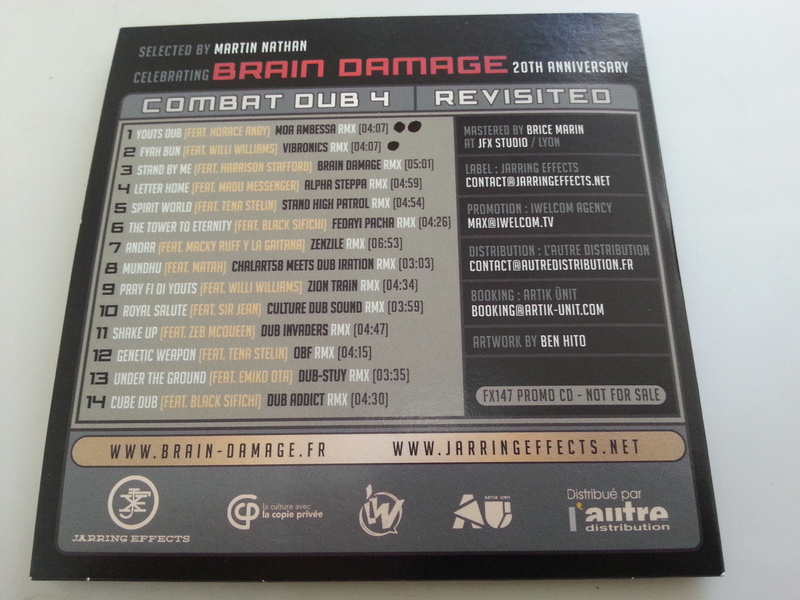 Combat Dub 4 takes the form of a condensed Brain Damage discography, revisited by 14 of the most influential producers of their generation. 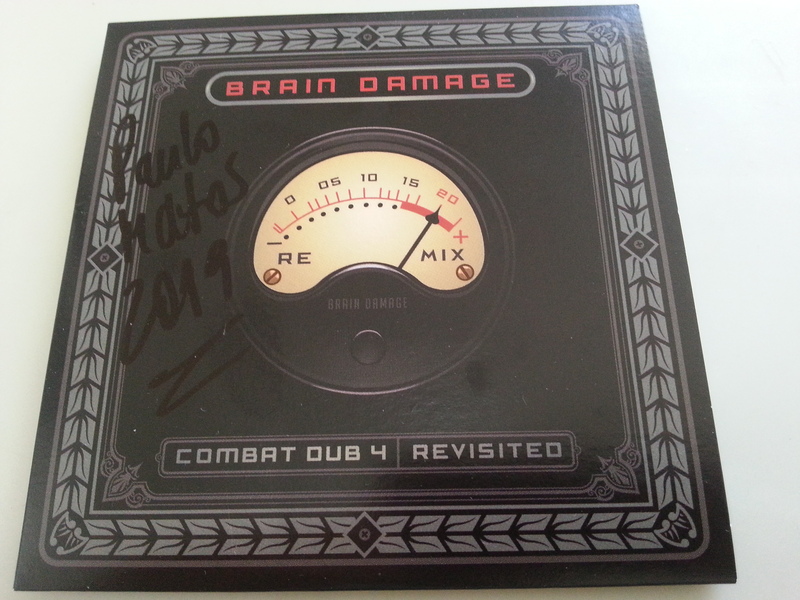 20 years of dub and experimentation ... From Bogotá to New York, from London to Guadalajara, from Kingston to St Etienne ... From 1999 to 2019 ... Happy birthday ... dubwise! 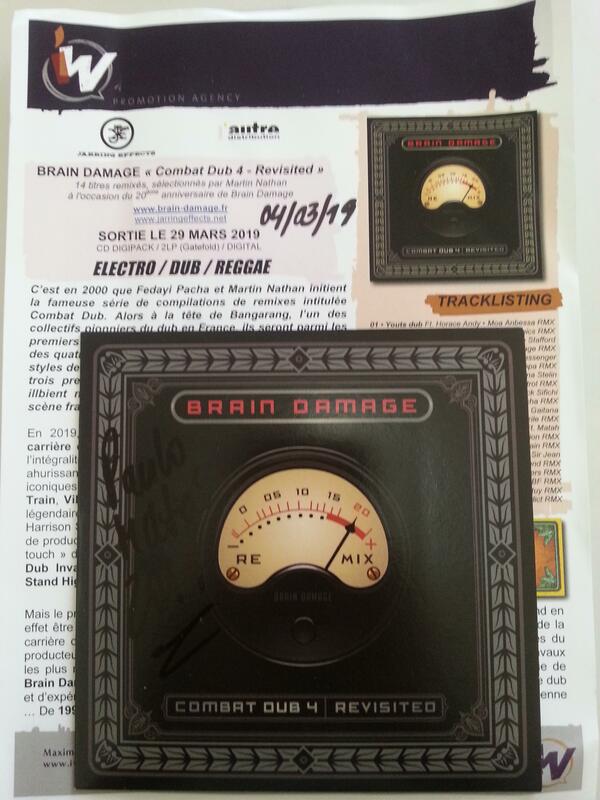 Grandes colaborações com Horace Andy e Willi Williams !